Lightning Bolt is capable of manufacturing a wide range of Tantalum fasteners. Although you may recognize it as the 73rd element on the periodic table, Tantalum fasteners are known for their amazing resistance to corrosion by acids. In fact, at temperatures below 150C, tantalum fasteners are nearly completely immune to attack by “King’s water” which is a mixture of nitric and hydrochloric acid. Due to tantalum’s intrinsic properties (high melting point, strength, ductility), it is often used in aircraft engines, surgical instruments, furnaces, implants, and even electronics. Being an ISO 9001:2008 certified company, we are capable of manufacturing any type of fastener. 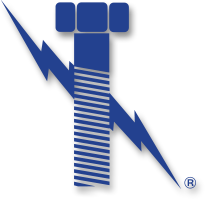 Why Lightning Bolt for Tantalum Fasteners?